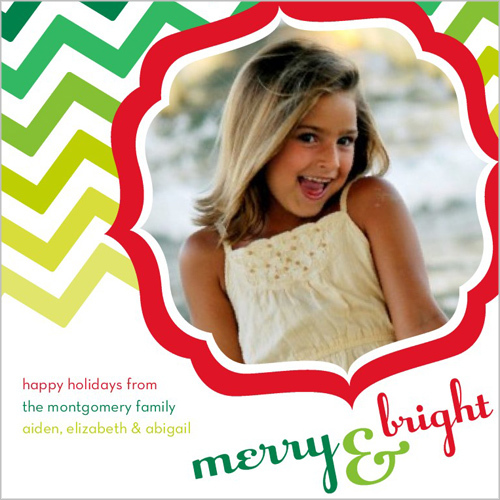 It's that time of year again where Shutterfly is giving away free Christmas cards!!! Who's excited? You should be! Because, three lucky readers will win 25 free Holiday cards of their choice. I can't tell you how many compliments I've had on it and how many people surprisingly still have this up on their fridge! I'd like to think this is mostly due to the precious little boy on the card, but let's face it...the cute card design doesn't hurt! Now to tempt you just a little bit more, here is a look at three of my favorite cards from this years selections! Chevron is huge this year so why not use it on your Christmas cards too? Maybe you like something a little more classic like this one? You can also find other holiday cards like Thanksgiving (for the over achievers) and New Years (for the procrastinators...aka me!). 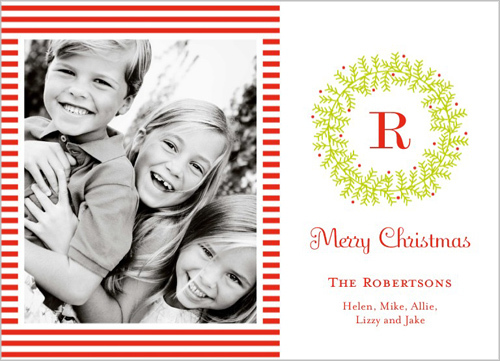 Be sure to check out their photo gifts page for more Christmas options like canvas prints, gift tags, and personalized notepads! 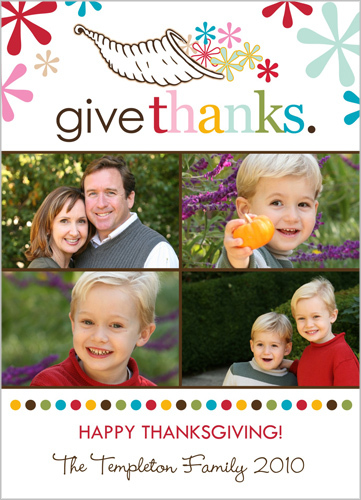 I promise you can't go wrong with Shutterfly they are truly a joy to work with! I know I'll be enjoying my free cards this year! 3 lucky winners will be chosen at random for a coupon code for 25 free 5x7 holiday cards of their choosing. The code needs to be used by 12/31/11 to be valid. Please leave a comment tell me what you did for each entry! I'll post the winners on Monday, October 24th! Mandatory Entry: Be a follower of this blog through Google Friend Connect. If you are a blogger and win one of these free codes you could potentially have 50 free cards! Yay for saving money right? I started reading your blog fairly recently. I love your Christmas Card last year...SO cute. I also love to use Shutterfly for our cards and photo books. PS - Looking forward to trying those butter mints. Ok is it fair for me to enter and be your friend in real life? I'm so going to enter b/c I need some free Christmas cards! I follow you on GFC. I am a new Facebook follower! I like MTU on Facebook! I'm a follower of your blog!! I fallow you on twitter, facebook, and blogger. :) thank you for your kindness and doing this for all of us. Your card last year was SO cute! I'm a GFC follower of your blog! I just love your blog. i tweeted today about your give away. and we like (love) you on FB!